Jason Parsons, Chief Project Designer of the Design Build Planners, has been honored by Professional Remodeler magazine as one of the top 40 remodelers in the United States under 40 years old. The 35 year-old has vast residential remodeling experience dating back to his teenage years. 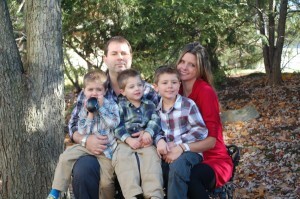 Jason, a lifelong New Jersey resident, is married and the proud father of three young boys. He thoroughly enjoys spending time with his family and their many shared activities. 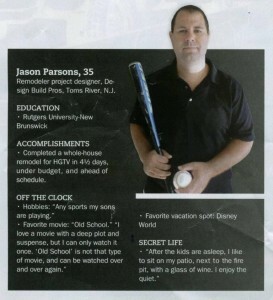 Jason has the same passion and enthusiasm for his career. 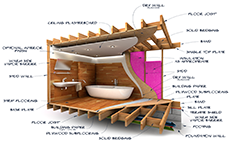 Jason Parsons’ design build remodeling industry bio can be found on company website. When asked how it felt to make the prestigious list, Jason replied, “Being recognized as one of the top forty remodelers under the age of 40 was a great honor. First off, when I was notified, I felt a sense of pride, realizing that the hard work I put into my client's projects has earned me a position alongside my peers. Secondly, it has given me additional drive to do more within the industry, and to look for ways to improve the remodeling experience for my clients. Lastly, in review of the group as a whole, I see a bright future for the remodeling industry, with a diverse group of dedicated, young (I still consider myself young), and enthusiastic individuals that will collectively raise the level of expectations for quality, craftsmanship, and customer service.” Professional Remodeler magazine provides proven business solutions and award-winning editorial to more than 63,000 remodelers every month. 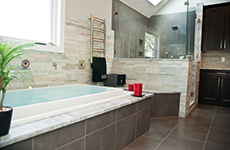 Professional Remodeler is owned by SGC Horizon which also publishes Professional Builder and Custom Builder magazines as well as the HousingZone.com website. The full “40 Under 40” article can be viewed online. I’d like to talk with you about working together on a whole house renovation master plan design in Dresher, PA. 1. are you interested? 2. Will you do site measure and as built drawings? 3. Time frame? 4. Presentation drawings with proposed changes? 5. Cost? I should be in the office most of Wednesday, give me a call when you have a chance. We just started working on the project yesterday that you drew as builts for last fall. Jason & Neil, I'd like to talk with you about working together on a whole house renovation master plan design in Dresher, PA. 1. are you interested? 2. 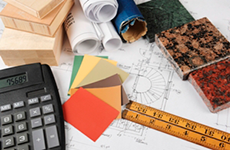 Will you do site measure and as built drawings? 3. Time frame? 4. Presentation drawings with proposed changes? 5. Cost? I should be in the office most of Wednesday, give me a call when you have a chance. We just started working on the project yesterday that you drew as builts for last fall.